We all assume our senior dog’s difficulty rising, hind limb weakness or occasional lameness is “just arthritis”. But, what if it’s not? What if it’s not even arthritis at all? Anti-inflammatories or pain medication might not help and a more serious or completely curable disease may be overlooked! Did you know that 80% of geriatric cats (over 10 years) have osteoarthritis? This is pretty surprising considering that cats don’t really show signs of arthritis. As cats get older, they not to be as rambunctious as youngsters anyway, so it’s no surprise to us when they stop racing around like maniacs, stop chasing “ghost mice” up the walls and stop leaping to the tops of tall cabinets. But those are often signs of arthritis pain. Some cats may indicate arthritis pain with “failed” jump attempts or long consideration before jumping up on furniture. More subtle signs of pain in cats can include poor appetite, weight loss and poor grooming due to decreased spinal flexibility. Arthritis of any joint. Knee arthritis is almost as common as hip arthritis as many dogs injure their knees early in life, leading to years of slow wear and tear. Arthritis in the spine or even front limbs can look like hip arthritis because of pain caused by weight shifting over all the limbs while standing up. 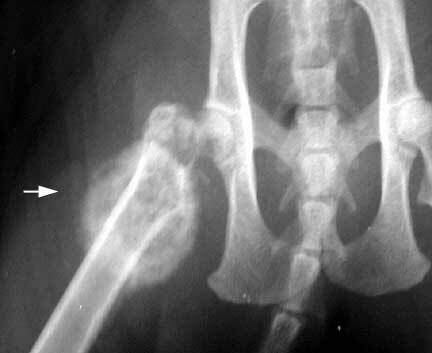 Cats often develop knee and spinal arthritis. Traumatic Injury– Torn cruciate ligaments in the knee are the one condition most common mistaken for “arthritis” in dogs and cats. Degenerative spinal neurologic disease. Dogs are too weak to rise, not painful at all! Valley Fever frequently spreads to long bones and the vertebrae in dogs, causing pain that mimic arthritis! Bone Cancer which requires aggressive pain management and treatment sooner, rather than later. When you consider how many things may be causing signs that can look just like arthritis in pets, it’s easy to see that treating with “just some arthritis (pain, anti-inflammatory) medicine” could be doing a serious disservice to the pet! Sure, it might help the pain in an underlying condition, but at what cost? Allowing Valley Fever, a curable disease, to progress unchecked? Ignoring diabetes—treatment of which will resolve the neuropathy and cure the weakness? 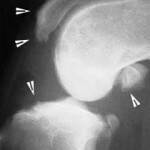 Missing the opportunity to surgically repair the torn Cruciate Ligament, minimizing further development of arthritis? 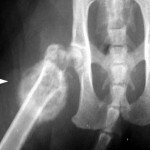 Find out the real cause, extent and location of your pet’s weakness or orthopedic pain with Arthritis Screen Radiographs! 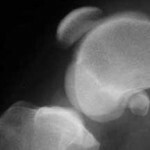 Along with a good orthopedic examination, radiographs are the only way to definitively differentiate osteoarthritis from everything else. Any patient showing signs of limb weakness or pain in any bone, joint or in the spine should have x-rays taken. If there is osteoarthritis or other orthopedic disease that explains the symptoms. If not, further testing for metabolic or infectious disease should be pursued. If there is evidence of cancer or Valley Fever. If arthritis is present, how severe? This helps your vet make the best recommendations for pain control therapy. Exactly which joints are involved? This allows your vet to recommend targeted therapies like home physical therapy or cold laser therapy. Make sure your veterinarian knows what she is treating your pet for. Don’t settle for “trying” some anti-inflammatories or other pain medications. Ask for Radiographs. Even if your veterinarian can feel or see abnormalities in a joint during an orthopedic exam (which should be part of every physical exam—make sure your vet puts all the joints through a range of motion and examines the spine- Every Time! ), ask for Radiographs. Knowing not just whether there is arthritis, but where it is and how involved it is helps you and your veterinarian make the best choices for treatment for a long, comfortable, happy life!